Ethiopia’s efforts to retain women in the health workforce includes a focus on gender equity issues. Addis Ababa, Ethiopia—Nyabor Bandak, a gender counselor at Gambella Teachers Education and Health Science College, vividly remembers the nursing student’s visit to her office. 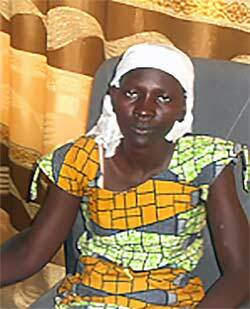 The student, who was well on her way to fulfilling her dream of becoming a nurse, had discovered she was pregnant. Sad and distraught, the third-year student confided in Bandak that her partner had denied responsibility for the baby. As a gender counselor, Bandak understood that an unplanned pregnancy dramatically increases the risk that female students will drop out of college. Sexual harassment, pressure to marry and low self-esteem are also among the issues that can negatively affect a female student and her desire or ability to remain in school. Nyabor Bandak, a gender counselor at the Gambella Teachers Education and Health Science College. Bandak comforted the student, counseled her to remain in school and discussed several options for finishing her education. She was prepared to assist this student because of training and supervision she received through the U.S. Agency for International Development’s Strengthening Human Resources for Health (HRH) project. 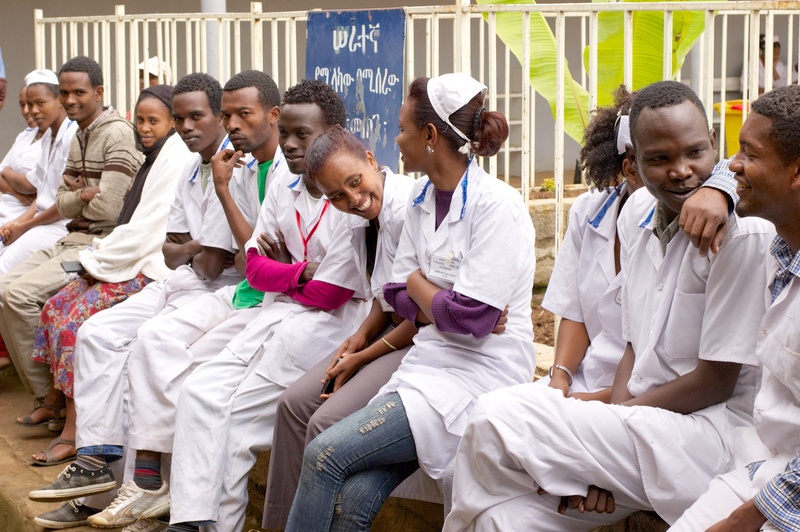 The HRH project, which is being implemented by Jhpiego and four partner organizations, is providing technical and financial assistance to universities and colleges in Ethiopia, with the aim of improving the quality of education for the health workforce. 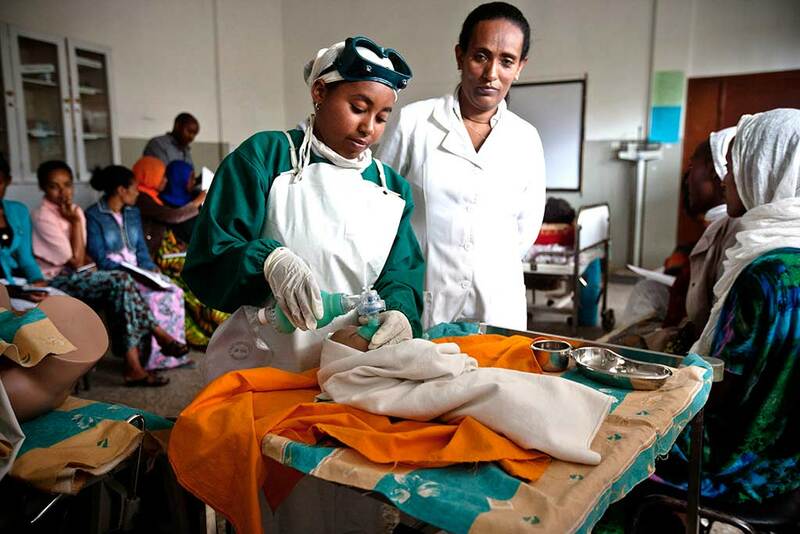 To implement this project, Jhpiego collaborates with the Federal Ministry of Health as well as partner organizations, Management Sciences for Health, the Ethiopian Midwives Association, the Ethiopian Association of Anesthetists and the Open University. In recent years, Ethiopia has made remarkable progress in improving access to education. This progress is driven by a sustained and effective government-led approach and significant investment by the government and donors to ensure that more Ethiopians receive the education and training they want and need to succeed. Strengthening gender offices in schools and building the capacity of counselors to address gender issues and students’ needs are part of this effort and the HRH project’s activities to strengthen the health workforce in Ethiopia. To date, the HRH project has supported 42 health educational institutions to establish and strengthen gender offices, organize orientations and discussion forums for newly enrolled students, and help students adapt to the college environment and succeed academically. The Gambella gender office is one beneficiary of this work. Following Bandak’s first consultation with the pregnant student, she counseled the student in several additional sessions and convinced her not to quit her training program. Bandak also negotiated with the nursing department and relevant faculty to ensure that support was provided to the aspiring nurse, who returned to the college after she gave birth and was able to graduate. Now she is working as a nurse at one of the Gambella Woreda health centers. Bandak’s gender work is one aspect of the HRH project’s ambitious, 5-year effort to develop sustained systems for managing human resources for health by increasing the number of midwives, anesthetists, health extension workers and other health cadres; improving and monitoring the quality of education and continuing professional development of health care providers; and generating evidence to inform HRH policies and practices. The HRH project has contributed to the graduation of 8,301 midwives, 10,462 health extension workers, 617 anesthetists and 624 other essential health workers . Recent studies conducted at Jimma and Hawassa Universities in Ethiopia found a high level of gender-based violence at the universities, creating a hostile learning environment for female students.6,7 Supporting institutions in implementing a policy on sexual harassment will help them reduce gender-based violence. The HRH project will continue to provide support to the gender offices at universities and health science colleges, including direct financial assistance and technical support to develop and promote the implementation of sexual harassment policies. To help ensure that women remain in school, the gender offices are expected to use the funding to conduct activities such as creating awareness about and preventing gender-based violence, increasing male involvement in supporting women to continue their education, and empowering female students to stay in the school and speak out about gender-based violence and their rights—all of which will help to create a safer and more gender-equitable educational environment. 1 Central Statistical Agency and ICF International. 2012. Ethiopia Demographic and Health Survey 2011. Addis Ababa, Ethiopia and Calverton, Maryland, USA. 2 Gambella Teachers Education and Health Science College Human Resource data, 2015. 3 Melese et al. Trend and causes of female students dropout from teacher education institutions of Ethiopia: The case of Jimma University. Ethiopian Journal of Education & Science. 2009. 5(1): 1–19. 4 UNESCO. 2015. Education for all global monitoring report. UNESCO, Paris. 5 Randell Shirley and Jennifer Fish. 2008. Promoting the Retention of Women Faculty and Students in Higher Education: The Rwandan Case, Paper presented at the Women’s Worlds Conference, 10th International Interdisciplinary Congress on Women, Madrid, July 2008. 6 Mamaru et al. Prevalence of Physical, Verbal and Nonverbal Sexual Harassment and their Association with Psychological Distress among Jimma University Female Students: A Cross-Sectional Study. Ethiopia Journal of Health Science. 2015. 25 (1): 29–38.